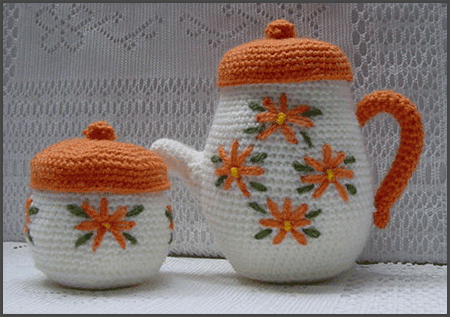 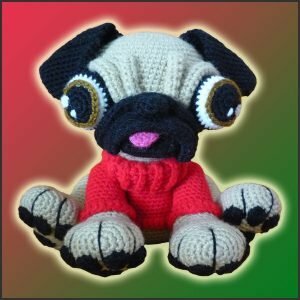 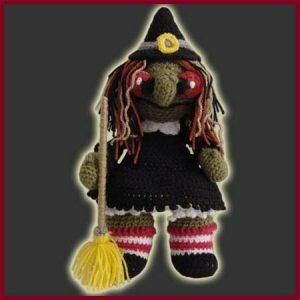 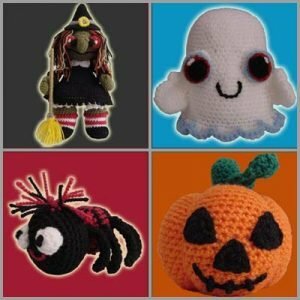 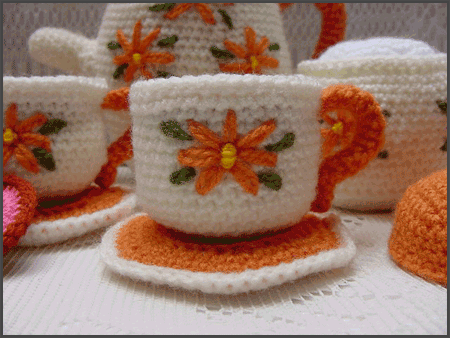 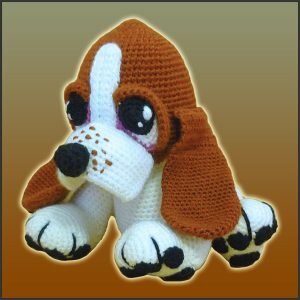 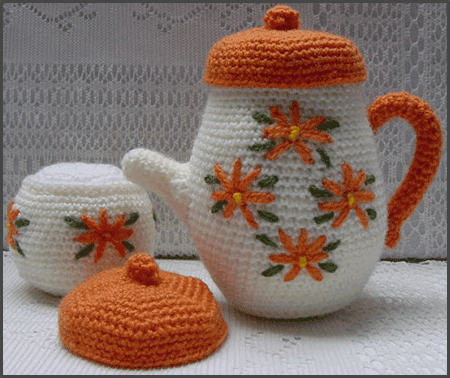 Pattern for crocheting a full Tea Set amigurumi. 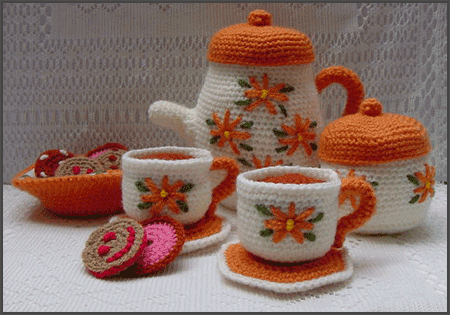 Spend your afternoons in your garden having tea and cookies with friends and relatives. 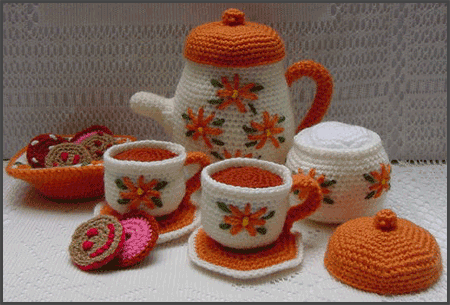 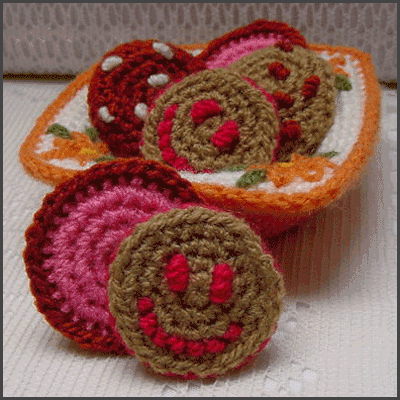 This set includes pattern for tea pot, sugar pot, teacup, plate, cookie bowl and 3 different kinds of cookies.